Wednesday’s CMAs had some country music artists feeling themselves. Jimmy Kimmel took care of that hubris immediately afterward. “When Cassadee Pope goes to the bathroom, her name is Cassadee Poop,” read another. 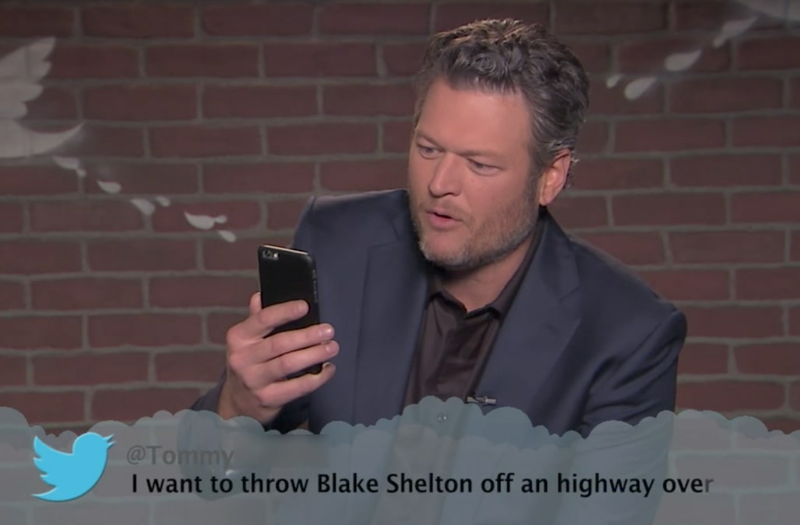 “I want to throw Blake Shelton off a highway overpass by his legs and watch him get obliterated by a Peterbilt pulling a big, stupid house,” the mentor from NBC’s “The Voice” choked down.